Right in the middle of the business of busiest season of the year, I want to remind you that the most powerful thing you can do right now is rest and repent. A rest from perfect image making. A deep down rest that knows and is confident that God will fulfill His Word in you and in your life. It is a confidence not born from flesh or work but from the Spirit and grace. It is a trust so sure that a quietness envelopes your soul. You will be able to rest in the midst of conflict. To be quiet in the midst of chaos. This kind of rest doesn’t come from removing all strife from your life. It comes from being obedient in the midst of the strife. It comes from doing the hard work and walking out the hard choices of trusting God’s way instead of your own. Repentance is acknowledging that all your dizzying efforts to make your life happen your way has only caused strife, fear and pain. It is giving up and letting go. It is when you admit your weakness and acknowledge your fear that God’s strength is invited in and God’s grace is activated. Salvation comes from repentance and rest. Strength comes from quietness and trust. 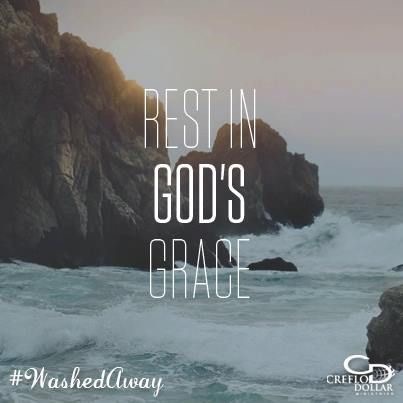 How are you going to rest in God’s grace today?